Our annual three-day convention attracts recyclers from across Canada, the United States, and abroad. Attendees have access to an exhibit hall, educational sessions led by experts, and numerous networking opportunities. 2019’s revamped program includes extra sessions and a Casino Night in place of a final banquet. Click HERE for a 2018 Convention overview. Convention activities take place on site at the Fairmont Tremblant. A block of rooms is available for attendees at discounted prices. Book by May 7 to receive discounted rate. 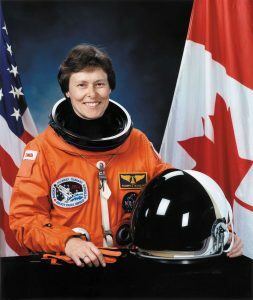 The world’s first neurologist in space, Dr. Bondar draws on a remarkable depth of expertise as an astronaut, physician, scientific researcher, photographer, author, environment interpreter, and team leader to stimulate, motivate, educate, and inspire. As both a consultant and presenter, she has worked with CEOs and business leaders around the world who face the challenges of a business environment that is in continuous change. Mont-Tremblant is a beautiful, four-season destination. Outdoor enthusiasts can enjoy golfing, hiking, cycling, canoeing, ziplines, and a host of other family-friendly activities. Contact Donna Turner at donna@cari-acir.org or 705-835-1592 with any event questions. If you are arranging a foursome, please list name and company of each player. Please indicate if any players are your guests.